I have to admit yesterday was the worst Sunday ever for me. I could not shake the game from my mind. I just couldn't understand where it all went wrong. How the team I love and support with such passion could hurt me in the way that no one else could. I'm lucky enough to be in a position where I won't have to face a supporter of our oldest enemy this morning, but there will be hundreds of thousands of Gooners who won't be as lucky as me. I feel for you and that's why Saturday's result is going to be even more as painful today as it was just before 3pm on match day. Arsene Wenger has delivered a 45-minute tirade to his players and taken the paint off the walls of the dressing room. But we have to move on. We can't keep torturing ourselves. We gave our all on Saturday. The atmosphere inside the ground was the best its been this season for the first 45. Now it is for the team to give a reaction which will make us proud. And that has to start with a win tomorrow night in Braga. The players will train this morning before heading to the airport for the two hour flight to Portugal. We know that two wins from our final group games will see us top the group which could be important as to who we are drawn against in the knock out rounds in February. The players can no longer take this game lightly. They've got to come out with a big performance and put together an unbeaten run. And the captain himself is under no illusions as to the task at hand. "We have two games left in the group, both difficult, especially the one away to Braga - but we will try to win the group. "We will do our best and if we play the football we know, focus 100 per cent and don't treat the opponents softly, then I am sure we can win the group." I hope the fans traveling to Portugal are treated to an excellent Arsenal performance. If you are going, make sure you check out this important information for away fans from the club. The manager will make a number of changes from the side from Saturday. We already know that Nicklas Bendtner will return to the squad. You would have thought the manager will also start with Jack Wilshere, Theo Walcott and Tomas Rosicky. I can also see a couple of younger faces traveling with the team. Some of the players on Saturday looked shattered. Marouane Chamakh and Andrey Arshavin looked physically exhausted. Both had played 90 minutes in midweek for their countries. The manager will give an update on team news when he speaks to the media later. But with games coming thick and fast - the longest break between games from now until the end of the year is after the Stoke fixture on December 18 to when we play Chelsea at the Grove three days after Christmas day - we need all our best players fit and ready to play. Elsewhere, The Guardian are reporting that because of the rise in VAT from 17.5% to 20% in January, Arsenal will become the first British club to charge more than £100 for an ordinary match day seat. I personally hope the club review the charges they lay down for seats at the stadium and start charging less. There cannot continue to be an increase in the amount fans have to pay to go to games. I know the club have not increased ticket prices every season since we moved to the Grove and this increase is not of there doing but where will it end? Ordinary fans are being priced out and that cannot be good for the club nor us supporters who attend matches. Finally, some interesting news I picked up about a training ground match involving our newest Brazilian prodigy Wellington Silva. He was up against Gael Clichy and one observer told me the Brazilian gave the Frenchman the hardest training match of his life with an excellent performance. Wellington is going to be huge if he fulfills his potential. 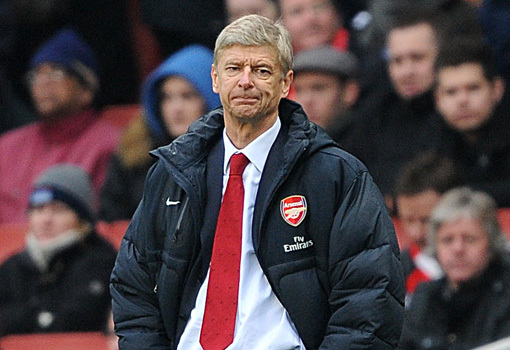 Arsene Wenger can't believe we've got him. I don't know how much he'll be involved after he officially completes his move in January, but he's certainly giving the manager something to think about.